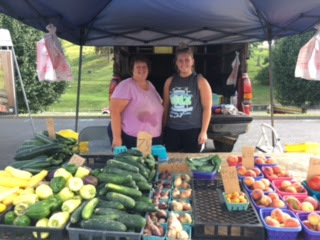 My wife and I have been to just about every farmers market in Campbell County and by far the Fort Thomas Farmers Market is the best around. Fresh food, friendly people, music, and activities make this a weekly destination. Now my wife is a picky shopper so she chats with each vendor about products, recipes, and uses. 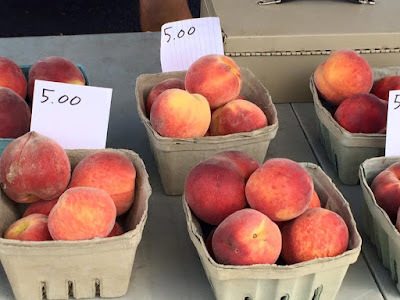 She looks for vendors who offer variety, who take pride in their products, present a good choice of organics, who raise pasture raised chickens and meats, sell farm fresh eggs, and that elusive quality that makes something interesting that you don’t particularly find in the grocery stores. We like that we can deal directly with the farmer. It creates an immediacy, a connection, with the food that we eat. We recently bought peaches from Scott Farms that were sweet and juicy and tasted especially so after a few hours of yard work. We found dinner at Bouchard’s Pasta. We like their handmade sun dried tomato fettuccine. And their handcrafted sauces are equally terrific. The vendor was helpful with preparation tips and recipes as well as side items for the meal. Last week I asked Terrence Mueller about the wood sorrel he was selling. He offered me a taste and it was lemony.A pleasant surprise. It was on our salad that night along with some peppers that we bought from them as well. Erika Reitano Peter likes Balanced Brilliance and Lobenstein Farms. 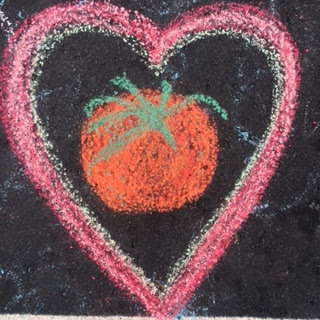 She says, “My favorite is to make and can salsa made from their spicy peppers and Lobenstein's canning tomatoes (which you can preorder the week before you pick them up.) My five year old son looks forward to visiting his 'favorite farmers', Lizzie and Terrence Mueller each week. He loves to exchange our compost bin and 'talk shop' with them. They know his name, answer all of his questions, and are very sweet and patient with him." Debra Bowles Hausrath says of the vendors, “Love them all, and I'm so grateful to have such a vibrant farmers' market here. I particularly like Springcreek Farms. He uses no chemicals and he grows some heirloom [tomatoes] and other interesting varieties. Breezy Acres is great, too. (Good eggs!) And who doesn't love Crigger Farms honey? I made a delicious ratatouille last week” with items from the farmers market. Leigh Gorman, market organizer, says, “I think people don't know about the nutritional benefits, enhanced taste, economic impact on local farms and our community, and getting people back to personal relationships with their growers and producers. I also think it encourages more cooking and the chance of trying something new. All the evidence supports that people who cook their own food have a healthier diet. Plus, [there are] all the benefits of a plant based diet, or at least consuming more plant based foods.” Not mention that the selections are delicious. Blue Oven Bread. Seriously. Why eat anything else? Colonel’s Creamery. Don’t ask me to share because it just won’t happen. Simple Cultures. Best pickles I have ever had. Period. Colonel De’s cooking demonstrations. Gosh, my skills needs serious upgrading. Little Green Pastures. Outstanding pasture raised chickens. All of that is true. 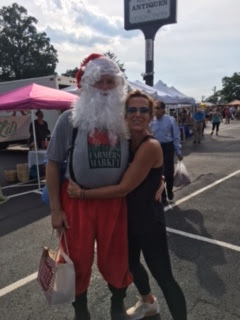 Santa even appeared in July. There was a bee hive and honey demonstration another week. An owls were on display another week. There are food trucks, music, beer, wine, fresh food, fun activities, and friendly people. It’s like a weekly city happy hour except with food every Wednesday. Here’s the point. This is a really good market worth supporting and it’s right here in our backyard. You can find contact information for each vendor on the app so you can contact them to order items to pick up on Wednesday or browse the list. 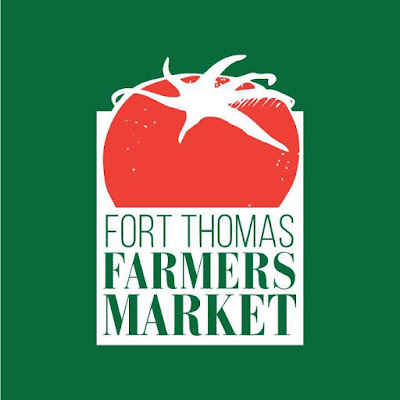 The Fort Thomas Farmers Market is located in the parking lot of the Fort Thomas Antique and Event Center next to the Jeff Wyler dealership. It takes place every Wednesday starting at 3:00. 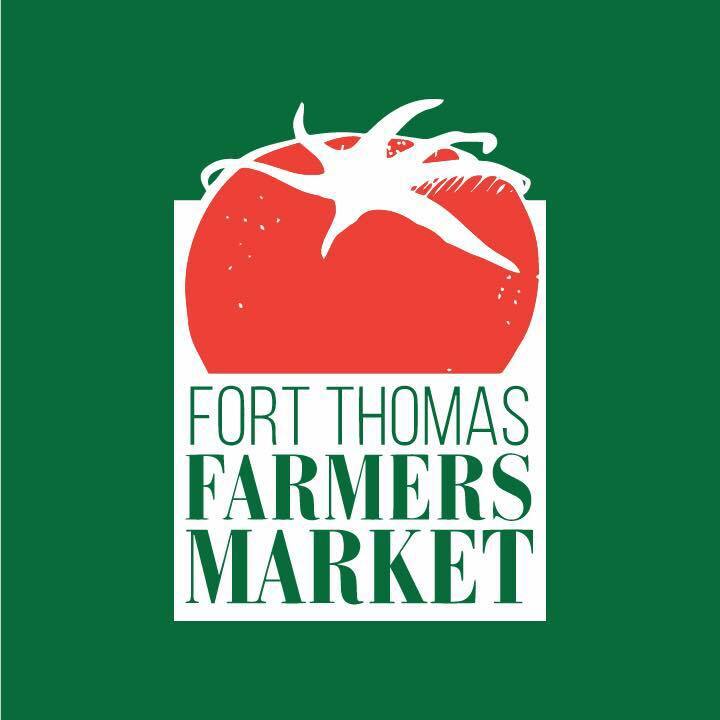 You can discover more at the Fort Thomas Farmers Market Facebook page as well as on the Fort Thomas app.